Enlightened Equipment is a small company located in Minnesota, dedicated to providing super lightweight, functional gear. Ultralight backpackers and hammock campers may already be familiar with the equipment Enlightened Equipment offers their audience. This company really sets itself apart from other big brands by focusing on fewer but extremely well-made UL gear. You’ll also find that EE offers an extreme range of customizable products, something rare to find from big name brands. Where EE really shines is with their range of quilts. While newcomers to hammock camping or simply those that don’t experiment past sleepings bags may not be aware of how useful quilts are. Similar to the quilts you’d use on your bed at home, camping quilts are a replacement for sleeping bags, though you may use them in addition to sleeping bags as well. They are super versatile and once you get the hang of them, often are warmer and lighter than other options. Enlightened Equipment has a whopping 57 different models of quilts, ensuring you will be able to find the right one for your setup and preferences. The Revelation quilt is recommended by EE for campers that need something lightweight and highly versatile. This model is one of their more popular choices and showcases some very cool features. The Revelation quilt combines light weight and high functionality, making it a great quilt for anyone. If you’re new to using a quilt you’ll wonder why you never tried it before. If you’re a long-time fan of quilts you’ll find that the Revelation is an overall excellent piece of gear for instances when versatility is key. With the details out of the way, let’s get into why you might want to purchase a Revelation quilt. The four main advantages of the Revelation quilt include the following. By far the biggest selling point for the Revelation, along with the majority of EE quilts, is that you can easily design your own custom quilt. There is an incredible number of combinations, include fill, comfort ratings, length, width, and colors. For fill ratings, you’ll have the choice of 850, 800 or 950. Temperature ratings include a 50F, 40F, 30F, 20F, 10F and 0F. Basically, you can create a Revelation perfect for a mild summer and frigid winter or something that will work most of the year for your purposes. 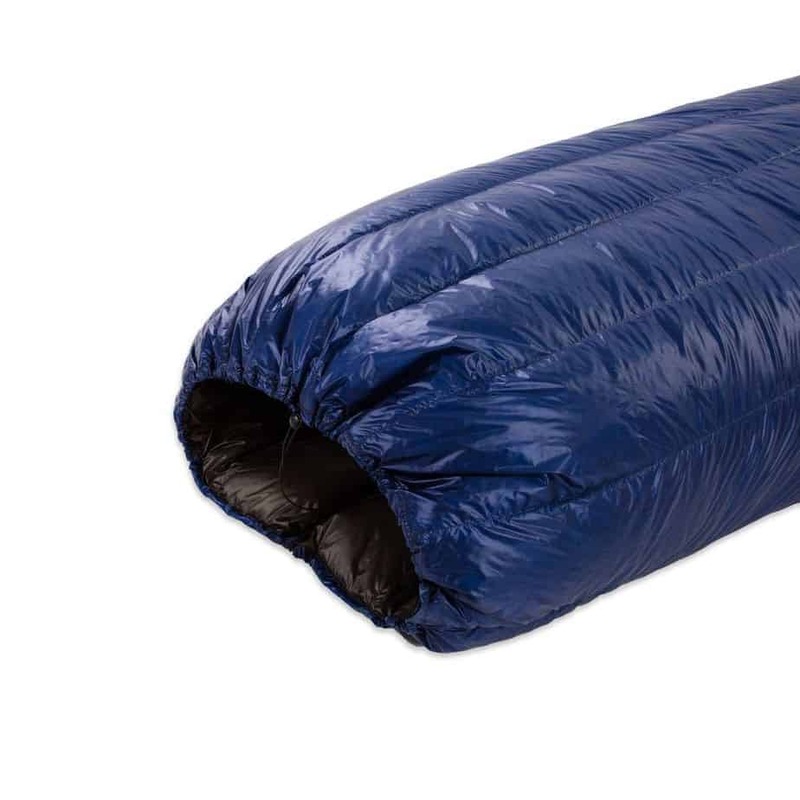 Most sleeping bags only offer a couple of options for extra length or width. EE takes this to a whole other level by offering five-length options and four width options, which are all interchangeable. For length, you’ll have the XShort (5′), Short (5′ 6″), Regular (6′), Long (6′ 6″) and the XLong (7′). For widths you’ll have the Slim (50″), Regular (54″), Wide (58″) and XWide (64″). As far as colors go there are 16 options for the exterior fabric, 9 options for the interior fabric, and 8 options for the 20D weather resistant stripes (optional feature). All things considered, a custom Revelation will be priced very competitively compared to sleeping bags and quilts with the same warmth rating. When it comes to EE pre-made quilts that are already on the shelf you’ll find they cost less than other quilts, along with being a higher performance model. Overall the Revelation is a very smart buy if you’re on a budget. While the exact weight of your Revelation will vary due to the variance in custom features, the typical Revelation 20 quilt will weigh just about 19 ounces with the webbing straps and stuff sack. If you’re only taking the quilt alone you can expect a little over 18 ounces. The Revelation isn’t the most ultralight quilt but it still is impressively light compared to other quilts and bags in its category. You’ll also find that the Revelation compresses down to quite a compact size. You can easily shove it down into the bottom of your backpack without a problem. 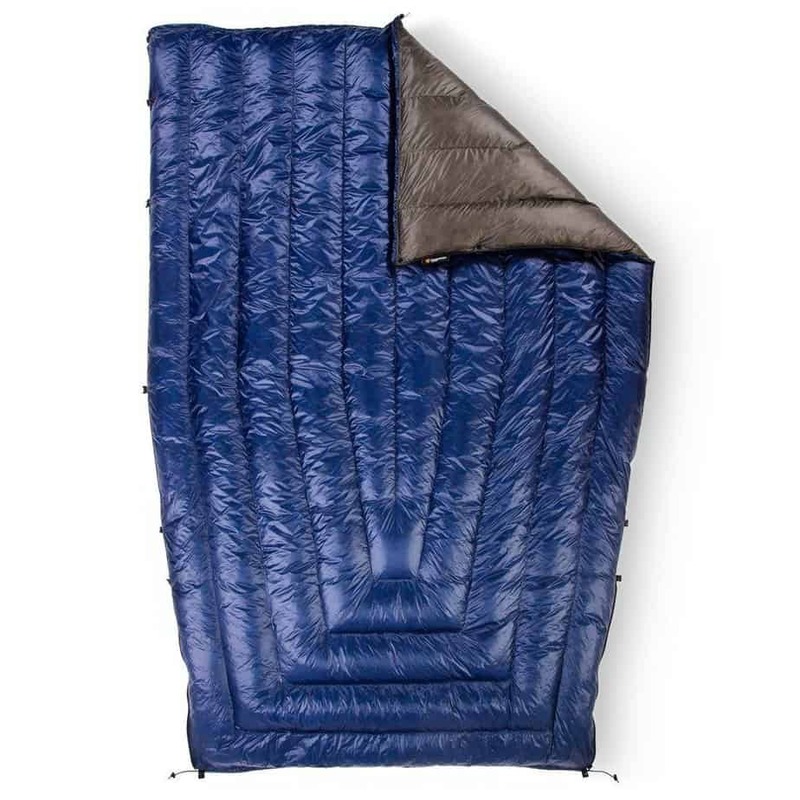 Though it isn’t an advantage only of the Revelation quilt, it’s worth reiterating that this quilt is an excellent alternative product to sleeping bags. 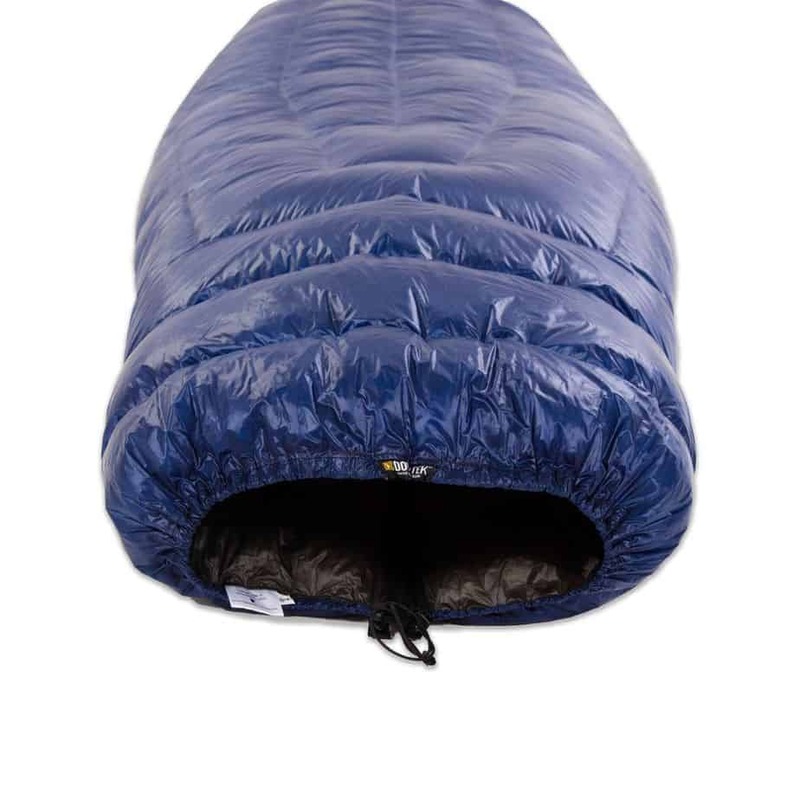 Sleeping bags will never fall from popularity, and they certainly are a great way of keeping warm, but for those that don’t like the limited designs of bags or struggle to find ones that truly are warm, a Revelation is a great option. The incredible versatility of a quilt means you can use it in almost any way you can conceive, whether you’re in a tent, hammock, bivvy, or sleeping in a cabin. Though this is easily a 5 star model of the quilt, there are 3 things to keep in mind if you plan on purchasing a Revelation of your own. While not a particular disadvantage, if you are new to real down products you should be aware that your Revelation quilt needs to be treated more carefully than synthetics. It certainly isn’t a high-maintenance or fragile product, but rather just has different cleaning needs. Although the U-shaped baffles help eliminate cold spots, some customers do find that the downshifts a bit more than other quilts. Be sure after hanging your quilt to dry you carefully brush the down back into place before storage or use. 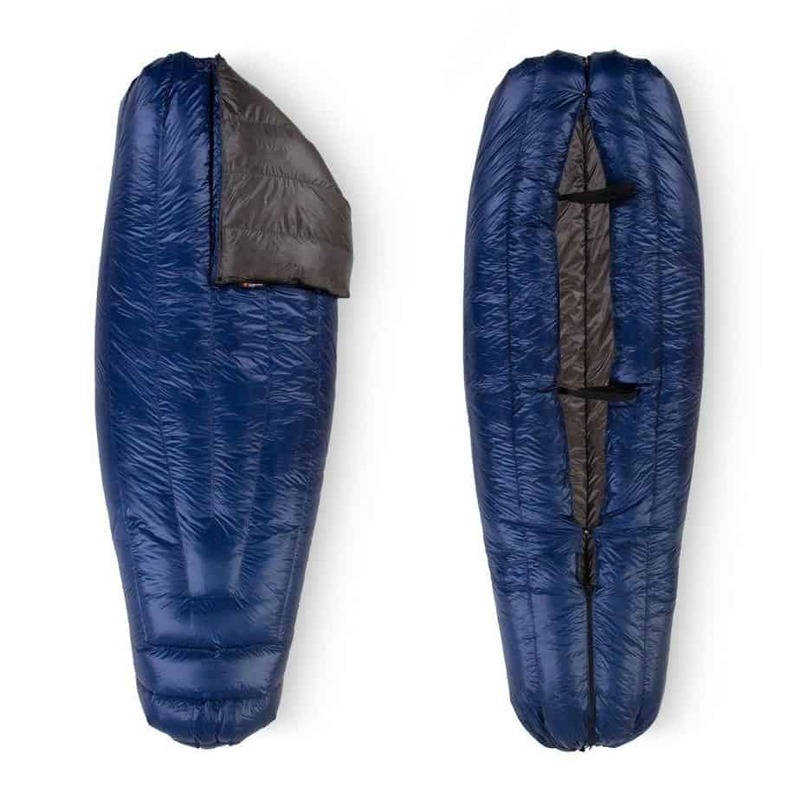 A big difference between the Revelation quilt and a sleeping bag is the lack of a body length zipper for getting in and out. Instead, you will have a small zipper in the foot box, with the remaining quilt utilizing buttons and straps. While there isn’t anything wrong with this design, it naturally takes a little more getting used to compared to a plain zipper. While EE does have a few Revelation quilts pre-made on the shelf ready to purchase, chances are high you probably want a custom quilt. The only downside about custom orders and this applies to any company really, is that you’ll have to wait longer to get your product. All Revelation quilts are handmade by EE, ensuring the highest quality possible. This means you can expect a wait of 5 to 7 weeks before it ships. This isn’t too unreasonable, but you should keep in mind that if you have a camping trip coming up soon you may not get your custom quilt in time. Overall the Revelation quilt is an incredibly well-made piece of gear that may make any diehard sleeping bag user question what they’ve been doing this whole time. When versatility and maximum warmth are important you’ll find yourself reaching for this model. Also, if you are new to hammock camping and are tired of trying to use a bag, the Revelation quilt is a great product to get you started off.